Did you know that here at fly cruise stay we guarantee the best car prices on over 40,0000 locations worldwide? All these providers are available through our website. If you are looking for the best rate, our search engine can locate that for you..
Not only that, but you can also choose what type of car you would like to hire!! 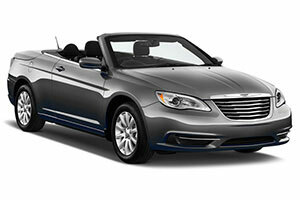 Fancy driving down route 66 in a Chrysler 200 Cabrio? No problem! On Fly Cruise Stay, want to pick your car up in California and drop it back in New York? No Problem! See a country the way you want to see it, no strict time table, no waiting for buses! Spot something you find curious? just pull up and explore! Car rental is a very easy, free and flexible way to explore the world and sometimes it is the only way to see a country. Just remember to check what side of the road you should be driving on! !